Before visiting this week's destination I got completely the wrong end of the stick. I'm not sure how I picked the idea up or where it had come from, but I thought I was heading to an angry, feminist bookshop. I expected in-your-face women's issues and no men for at least 100m – the terrifying extreme of feminism that only really appears in fiction. Which is why I made Persephone Books a stop on my Books are my bag bookshop crawl: I expected to be taken out of my comfort zone. The reality is very different. The reality is beautiful, calm, and just as welcoming to men as women. If I were to use one word to describe the bookshop it would be feminine. I feel crass for saying so, but Persephone Books really is an elegant woman: she's graceful and attractive, with a beautiful smile, immaculately dressed in a smart skirt and blouse, perhaps a brooch or scarf to add a splash of colour, certainly a string of pearls. But there's nothing uptight about her – she's a joyful place, full of fun and adventure, much like the heroines in the novels you'll find there. Okay, I'll stop with the metaphor now, but it really is what comes to mind as I think back to my visit, but first, for the uninitiated, a brief introduction. 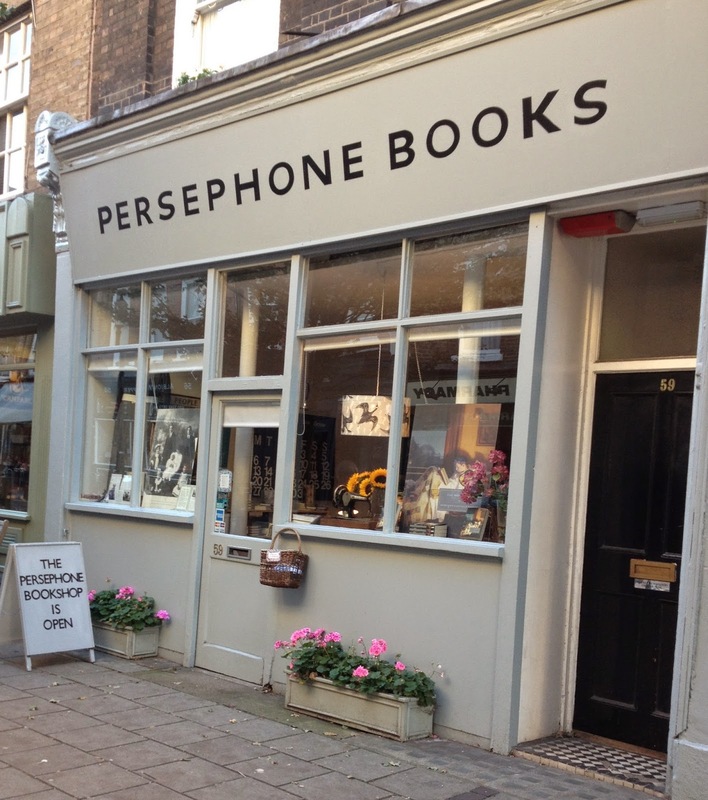 Founded in 1998, Persephone Books "reprints neglected fiction and non-fiction by mid-twentieth century (mostly) women writers", all the books have plain, pale grey covers and they can be bought – among other places – from the bookshop that fronts the publishing house. 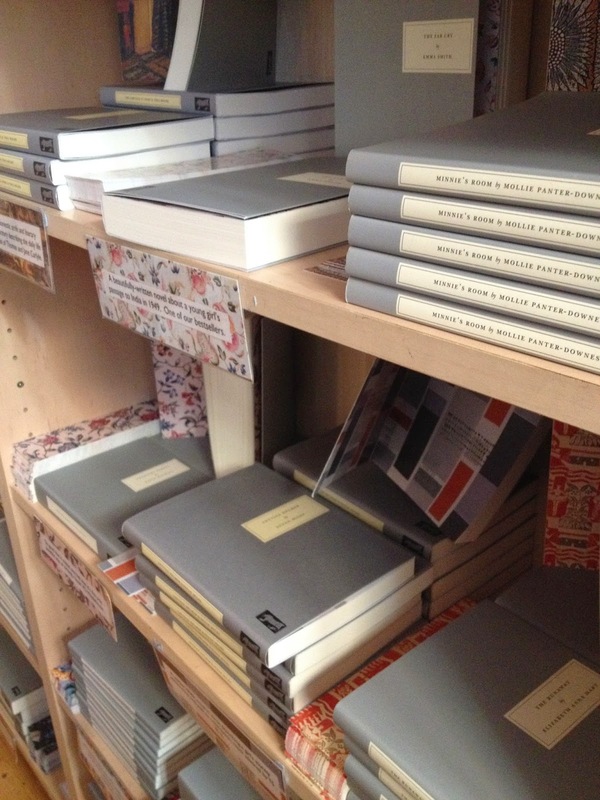 The simplicity of these covers makes for striking bookshopping surroundings. 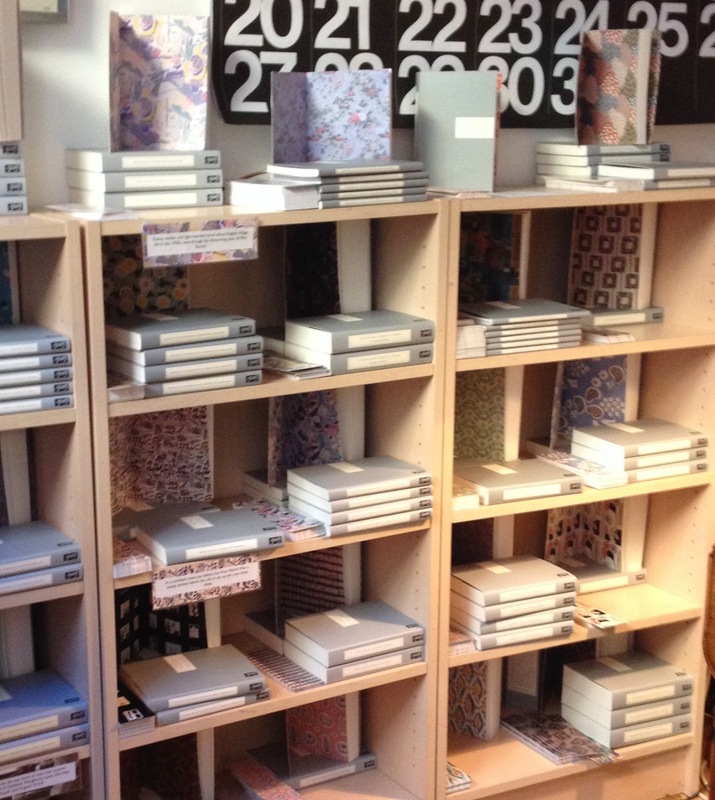 Pale grey spines adorn every shelf, with decoration in the form of striking end-papers, all selected from fabrics designed in each book's original publication year. And with little more than 100 titles in the Persephone catalogue this is the most sparsely-populated bookshop I've ever visited, not that I realised at the time as the perfectly appointed shelves kept me happily entertained. This was perhaps because the abundance of pale grey means you really can't judge a book by its cover. Instead interest is piqued by printed cards revealing brief synopses of the novels, so encouraging readers to do what they do best and dive in. Which I did, lazily browsing and enjoying the unique surroundings. I eventually made my choice, The Making of a Marchioness by Frances Hodgson Burnett, which drew my attention thanks to the explanation: "By the author of The Secret Garden a wildly romantic novel with a totally unromantic hero and heroine, a blend of Edith Wharton and Georgette Heyer." Before writing this post I did a little background reading on the bookshop and publisher, and found a line in an interview with founder Nicola Beauman explaining the reason for the covers. She said: "I like grey, and I also had this vision of a woman who comes home tired from work, and there is a book waiting for her, and it doesn't matter what it looks like because she knows she will enjoy it." I can't imagine I'd ever be nearly so elegant as the woman this bookshop is, but I'm definitely the woman who comes home to the book. Thank you, I'm not usually good at using metaphors but this one felt right. I'll look forward to reading your thoughts on Persephone soon.